A common question posed to me before I left Australia (granted by non-industry folks), was “15 months of wine tasting? Won’t you be sick of wine at the end of it?” My response is what many who work with wine would be. “Not a chance. When you are working with wine you are tasting all the time, and as every wine is different there is always a new experience to be had.” This is even more true in my case, as I am actually going to the source. Thus, just like every wine is different, every region, vineyard, winery, winemaker, and experience are different. Visiting the regions in Chile, without any expectations or preconceived notions, has been eye-opening to say the least. They are truly blessed with a wide variety of climates and soil types, and the rest of the world should keep an eye on Chile. As they gain more experience and come to terms with their unique terroir, the wines will just get better and better. 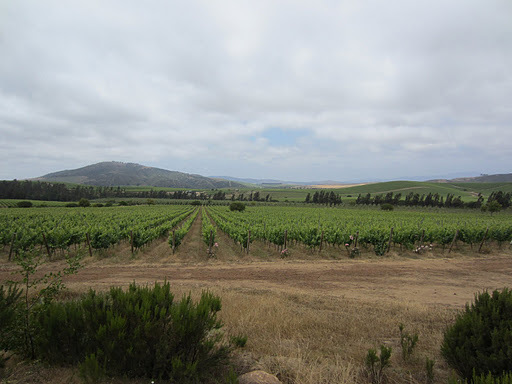 The San Antonio & Leyda region is not dissimilar to Casablanca to the North, in terms of its proximity to the coast and focus on white varieties. The difference in climate although subtle is very noticeable; it is much cooler here than in Casablanca. This difference has a profound effect on the wines, particularly the sauvignon blancs, arguably the most important variety in both regions. Leyda was opened up fairly recently, by the introduction of a pipeline that would carry water from the Maipo River to provide necessary irrigation. The region has grown quickly, and is now at capacity, as any new plantings would require another water source. This is probably why there are about 10 times more vineyard hectares planted in Casablanca which has better access to water. When Maria Luz Marin founded her winery in San Antonio in 2000, she knew it wasn’t going to be easy. She did however understand that the wines she could produce from this very marginal cool-climate would be against the Chilean grain, and would be exceptional. Her foresight and persistence is definitely paying off, as the wines are gaining international and domestic praise for their quality. A truly boutique production (interesting considering her background in bulk winemaking), the winery produces less than 50,000 cases per year. For Chile this is very small. 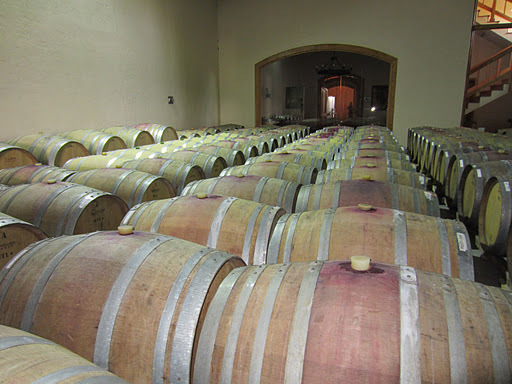 The winery also operates in the estate model, only using fruit grown in their vineyards in San Antonio. This is also different to the majority of wineries in Chile which grow or purchase fruit from many vineyards and regions to make as many different wines as possible. Extremely hands on, and family operated, Casa Marin are well positioned to be at the top of the next wave of Chilean wine in the world. Maria Luz’s son Felipe, who has studied and worked overseas (in Santa Rosa funnily enough), was kind enough to take me through a range of their current release wines. Click here to read my notes. Compromise wasn’t an option when the Garces Silva family established their winery in the Leyda Valley. 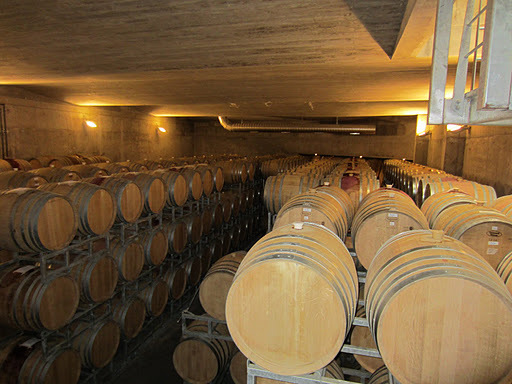 Pioneers in the viticultural history of the region, the winery was seen as a technological leap for the industry, and many other wineries upgraded or established since have utilised similar gravity-flow operations. More importantly though, the family also new the influence of terroir on the wines, and extensively mapped out their estate to identify the best areas for certain varieties and wines. Amazingly they only make one wine per variety, which is somewhat limiting, and yet exhilarating. Anything that doesn’t make the cut is sold, as even this is top quality juice in Chile. The wine brand is named Amayna, which translates to the calm after the storm. The winemaker Francisco is possibly one of the finest and humblest I have ever met. Soft spoken yet technically amazing, he took me through some tank samples of 2010 and 2011 wines, which were great. The sauvignon blanc here is very herbaceous and citric, with good acidity. Looking at finished wines in bottle showed how well he is able to capture the variety and terroir. Click here for the notes from the bottled wine tasting. Keep an eye out for Amayna, seriously good wine. Click here if you’d like to see more photos from San Antonio & Leyda.